This tire covers section is dedicated to everything and anything that relates to the great state of Arizona. This great state is carved out by the Colorado River creating the Grand Canyon. Spectacular r views force tourist to flock here from around the globe to witness its marvel. From sayings to the colors ob their state flag you will find it all hear within reason. 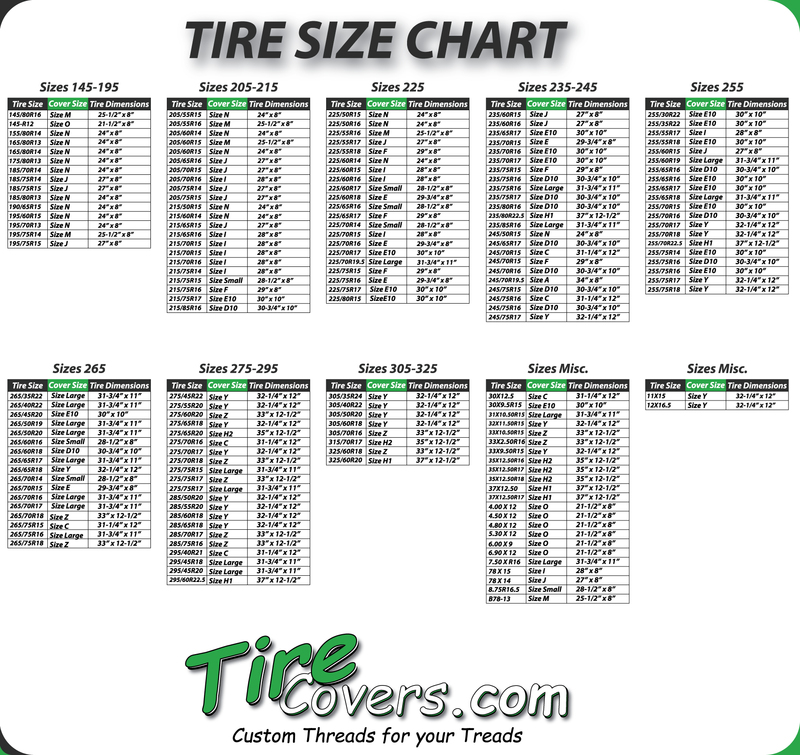 Show why your RV or Jeep is apart of the culture of Arizona with a fashionable tire cover that is sure to raise eyebrows as you pass people on the the open roads with your Jeep, RV or Boat Trailer.